Should you buy the financials based on the recommendations? We suspect there are valid reasons why the financials are under performing. The market price is presenting a loud and clear message that there is something wrong with the financial sector. We suspect there is something to do with the trouble in Europe. The Europe has never been healed from the previous financial crisis. The European central bank has been putting the bandage together to hold up the EU. The EU banking system is not stable due to the EU debt structure. Maybe the US financial sector has been exposed to the EU debt load? We don’t pretend that we know the answer. What we do know is the fact that the financials are not performing when they should have been performing. We suggest our readers lighten the exposure to the financial sector until we know better. 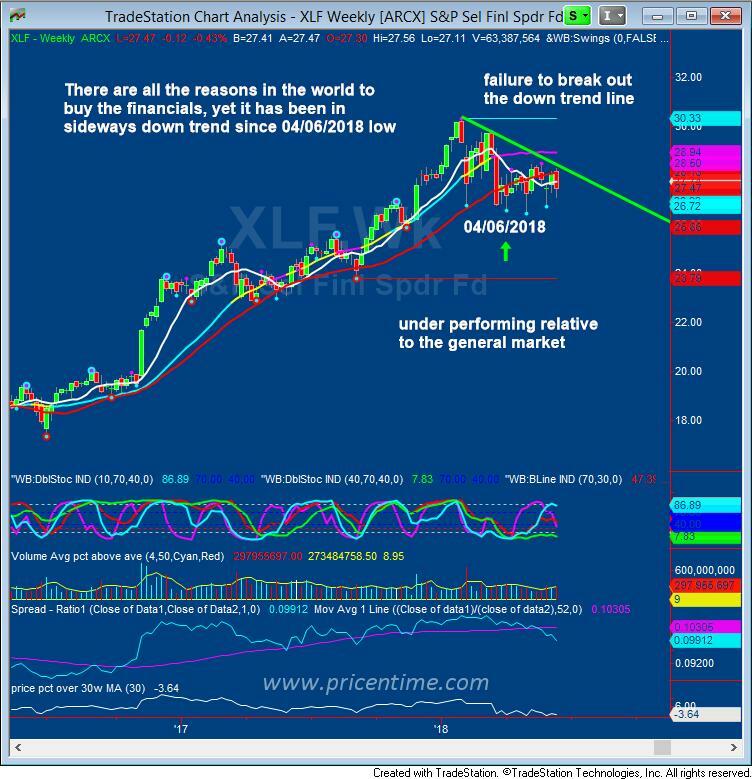 This entry was posted	on Sunday, June 17th, 2018 at 11:00 pm	and is filed under Trade Recommendation. You can follow any responses to this entry through the RSS 2.0 feed. Both comments and pings are currently closed.